MT. PLEASANT—In 2012, when Green PolkaDot Box Inc. announced it was moving its Spanish Fork warehouse operations and American Fork corporate headquarters to Mt. 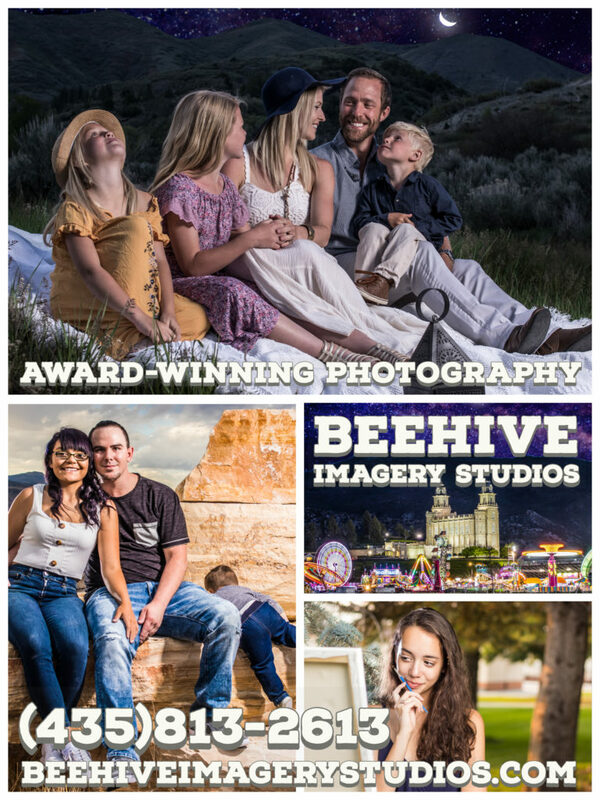 Pleasant, Sanpete County leaders and residents got excited. The company, named for the fact it shipped food and health products in trademark green boxes covered with polka dots, appeared to have the promise of breathing life into the local economy. Five years later, amid financial trouble, an investigation by the Utah Division of Securities and the threat of a class-action lawsuit, the once-promising company appears to be gasping for air. 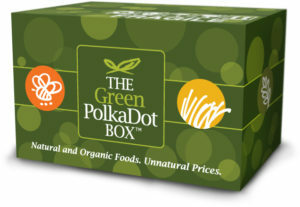 But the founder, president and CEO of Green PolkaDot Box, which sells “clean,” non-genetically modified (non-GMO) food and health products, insists his company isn’t dead yet, and in fact, maintains its future is more promising than ever. The company moved into Sanpete County with the promise of creating hundreds of jobs at its consolidated warehouse and headquarters in the Mt. Pleasant Industrial Park, where it took over the Kings Outdoor World building. In July 2013, the Sanpete Messenger reported that 300 people had attended a job fair hosted by GPDB. The story said the company would hire 50-75 people immediately, but expected its work force to grow to 300. Meanwhile, the company announced plans to purchase nearly 40 acres near Spring City for the first of several “Living Produce” growing centers, where it would grow fresh vegetables for overnight shipment to customer doorsteps. 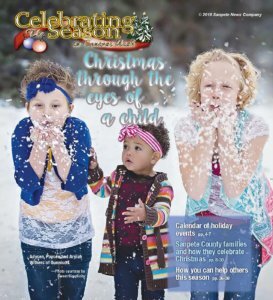 In August 2013, the Messenger ran a page 1 story saying GPDB had received permission from the Sanpete County Planning and Zoning Commission to begin building up to 14 greenhouses at the Spring City site. The newspaper reported GPDB had a $600 million, 10-year contract with a major distributor of organic produce, and at least 100 jobs would be created at the farm site. A large number of jobs never materialized, the farm has not yet been built, and for the last three years or so, the Mt. Pleasant headquarters has been pretty quiet. But after a website appeared last week accusing Smith of “stealing and lining his pockets on the backs of hard working people,” the CEO found himself defending both his company’s and his own personal reputation so potential investors don’t shy away. Smith’s accusers say the company took away “purchase points” they had earned by making online purchases. After the company went back on a promise to accept the points as payment for products, GPDB said it would redeem the points for stock instead. But the stock never materialized, and even if it had, would be almost worthless by now. When writing about “money invested,” the person making the comment was apparently referring to buying a membership in GPDB, for which purchasers were also supposed to receive a certain volume of non-GMO products. When they redeemed the membership points for products, they were supposed to receive additional reward points. A slew of similar comments on the website and on a corresponding Stop Rod Smith page on Facebook indicate many people feel cheated by Smith and/or GPDB. But there are a great many more comments on the Facebook page that defend Smith, written by people who say the effort against him is harming the very people to whom GDPB owes money. The complaints, company defenders say, are merely reducing GPDB’s potential for future success. Smith says the charge is being led by a disgruntled former employee who he says stole company information regarding members and investors, and who is using it in a vengeful smear campaign. On Tuesday, Aug. 22, Smith held a conference call with GPDB members in which he explained the company’s past actions and current position. The Messenger received an audio recording of that call. Then, and again during an interview Monday, Smith confirmed the investigation by the Utah Securities Division, but said he expected the investigation would clear him. GPDB was founded in 2008 in Nevada as a limited liability company (“LLC”). In 2011, it merged with another Nevada company, Vault America, a company previously involved in installing ATM machines. Vault America changed its name to Green PolkaDot Box Inc., in effect changing GPDB from an LLC, which cannot issue stock, to a C corporation, which can. But the people who are now claiming losses technically never invested (although they refer to the money they paid for memberships as “investments”) and never held any stock. Besides free shipping, legacy members received one point per dollar they spent on the membership. The points, equivalent to a dollar apiece, could be used toward purchases from GPDB’s website. As an incentive to keep members from spending all of their purchase points at once (presumably to limit the inventory GPDB would need to keep on hand), members were promised “reward points” which would accumulate and be redeemable in October 2013. At some point, though, GPDB executives realized the reward points-for-purchase program was not financially viable. So legacy members received notice that the company was terminating the reward points. The company would, in effect, purchase the points back at $1 per point. But rather than paying members back in cash, GPDB would give the members stock at a price of $2.70 per share. In his telephone conference last week, Smith said the company didn’t realize the points program was not sustainable until September 2013. But GPDB filed an application to the U.S. Securities and Exchange Commission to do a public stock issue in early July 2013. That suggests the company realized before July 2013 that the points program would have to end and made plans then to convert the reward points to stock. Company financial information, as well as publicly available data in SEC filings, indicate that by 2013, the company was in financial trouble. Purchases of property and services were made with promises of stock; the company saw income losses; sales were not as high as expected. Documents from the Sanpete County Recorder’s Office show that in 2015 and 2016, the IRS placed liens against any real property Smith owned, or had rights to. The leins are for unpaid personal and corporate taxes and total almost $350,000. Smith admitted to all of that to members and investors listening in on last week’s conference call. Even when the company first came to Sanpete, it was another investor who purchased the building that became the company warehouse and headquarters. The investor was Bill Roberts, president and COO of Geico Insurance, a company based in Chevy Chase, Maryland and the second largest auto insurance company in the nation. Roberts paid nearly $1 million for the building and leases it to GPDB for $6,500 a month. Including the building, Roberts has invested nearly $4 million in GPDB, Smith said, a figure backed up in documents that show Roberts has a 49-percent interest in GPDB. In contrast, Smith owns about 30 percent. Roberts is listed as one of three directors of the company, although given his top management responsibilities at Geico, he would not have been able to be involved in the day-to-day management. Roberts did not return a phone call from the Messenger. His office in the Maryland apparently contacted Smith and asked Smith to call the newspaper. In the conference call, Smith said that although the company’s intention was to offer stock to members as it had promised, complications arose. The SEC found a $500,000 error in an audit GDPB submitted. The auditor, who Smith said was at fault for the error, refused to amend the audit. There were problems, Smith told conference call participants, in finding another auditor “who wouldn’t bilk us for tens of thousands of dollars unnecessarily,” as well as complying with other securities rules and regulations. The difficulties finally made the stock issuance unrealizable, the GPDB head said. At the same time, the market for over-the-counter stocks was crashing (Smith blamed the Dodd-Frank Act, a 2010 law in response to the economic crisis of 2008), and over-the-counter stock the company had been able to issue without SEC clearance plummeted. Legacy members who had already lost about two thirds of the value of their points when those points were terminated and converted (in theory) to stock, would have lost drastically more than that since, as of last week, GPDB’s stock was at a historical low of around 10 cents per share. But since the members were not cash investors, it could be that no securities violations occurred. Smith is confident that will be the case. Earlier this summer, Smith complied with a subpoena from the Utah Division of Securities for company records. “I’m sure that when the Utah Division of Securities completes their investigation of our records, they’re going to find that we’ve done nothing wrong,” he said in the interview Monday. The Stop Rod Smith founder says there are considerations that go beyond legacy members. The founder of the group, who contacted the Messenger under the alias “Montgomery Wilde,” said Smith had issued or promised stock to many people in return for loans, property or services—stock that either was never issued or is now worthless. Howard Turrel says he was approached by Smith about investing in GPDB. Turrel is the owner of Humate Technologies, which plans to build a fertilizer manufacturing facility in Mt. Pleasant near the GPDB warehouse. Smith last week asked members and investors to stick with him. “Sandra” is Sandra Robles, the former employee who Smith blames for starting the campaign against him. He claims that Robles, before she left, stole the company’s database of members and investors, information he believes she used to contact them. “We are going to pursue criminal prosecution vigorously against her. And we’re going to include her in a lawsuit for defamation and libel,” he said. Smith said Monday he has a remedy that has been in the works for some time to make members and investors whole. He created another company, Buying Collective Holdings, Inc. (BCHI), which is in the process of acquiring GPDB, Inc., resulting in a third wholly owned subsidiary, Green PolkaDot Box LLC. GPDB Inc. will keep a 20-percent interest in BCHI, and BCHI stock will be issued to the original GPDB Inc. shareholders. Smith is giving up on the over-the-counter stocks, and indicated BCHI would be listed on NASDAQ. BCHI will do the same thing that GPDB aspired to do: sell organic products online, Smith said. However, it will do this by contracting with and being the sole distributor to individual online storefronts, which will be located on a GPDB web platform but will operate under each owner’s personal name. Smith said 265 such contracts have already been signed, with about 15 percent of those beta-testing the GPDB application. Though expressing confidence in the new venture, Smith is clearly concerned about the current allegations and the “red flags” they cause for potential investors. Later, Wilde confirmed to the Messenger that enough plaintiffs had been identified to begin pursuing a class-action lawsuit instead.